Yoman - Simple CRM in a Spreadsheet. Get 50% off FORVER on all plans with the coupon code PH50. 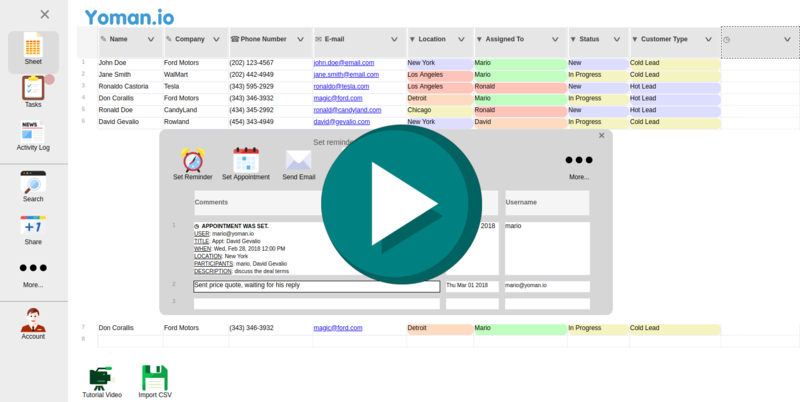 Simple CRM in a spreadsheet. Reminders, appointments, emails, files, teamwork. EASY-PEASY! Integrates with the tools you use. customize columns - date, listbox, number, etc.